We are settled in the Fulbright House. Within walking distance, though one walk is a longish walk, are the three most famous temples of Kathmandu, all world heritage sites. 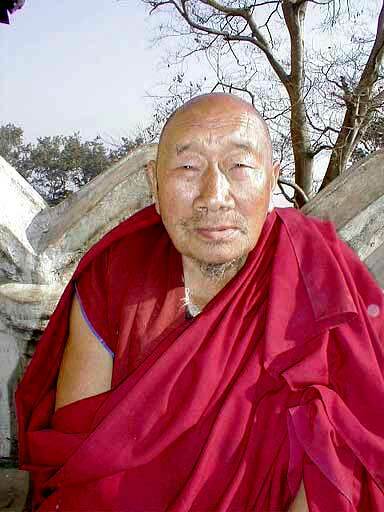 While two are generally considered Buddhist and one Hindu, both Buddhists and Hindus revere all three as places of exceptional spiritual power and frequent them accordingly. As the Dalai Lama said yesterday on his way to a great Hindu festival in India, "We Buddhists consider Hindus and Buddhists like twin brothers and sisters." 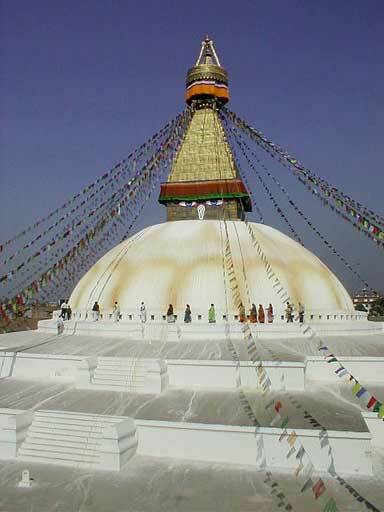 The great Bodhnath stupa, pictures 1 and 2, is the largest in Nepal and one of the largest in the world. 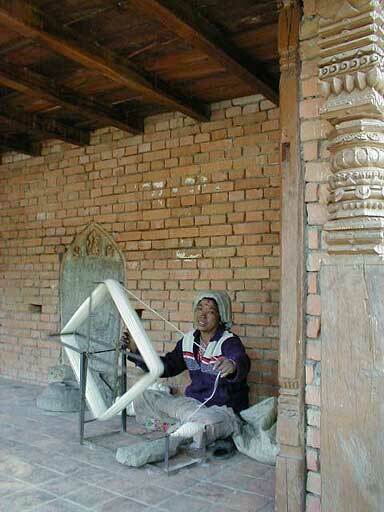 This is the center for Tibetan Buddhism in Nepal. 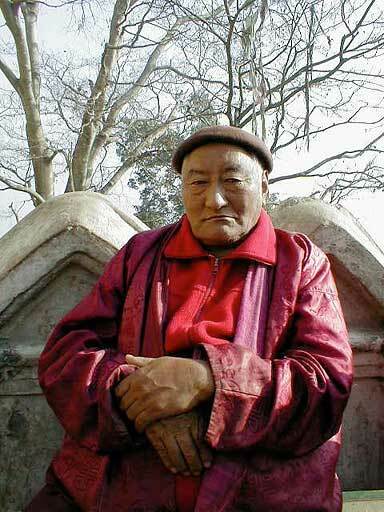 Every morning and evening hundreds of Tibetan refugees, many in traditional dress, walk clockwise around the stupa spinning prayer wheels and counting mantra recitations on prayer beads. 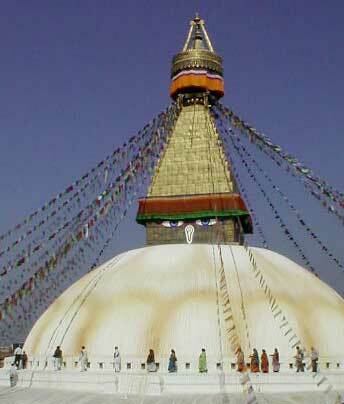 On the evening of each full moon, butter lamps light up the stupa. 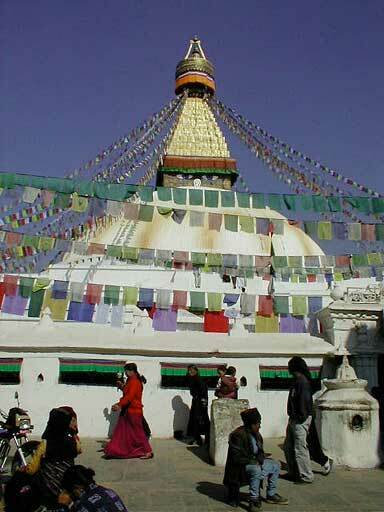 We will go there on Tibetan New Year at the end of February. The people next to the dome in picture 2 are Indian pilgrims. Pictures 3 - 6 (see below) are at the Hindu temple complex of Pashupatinath, the holiest of Hindu temples in Nepal and one of the five places in the world all devout Hindus aspire to visit before they expire. 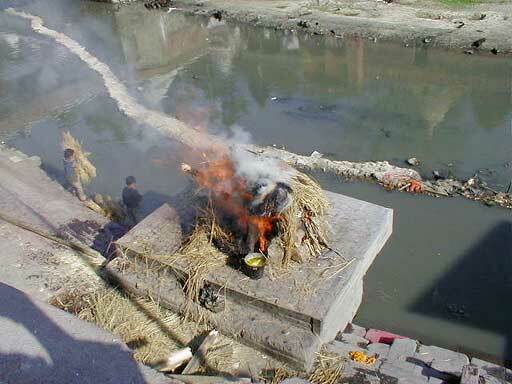 In fact, a special building next to the terribly polluted Bagmati River is there for pilgrims to await their death. The greatest blessing is to die with one's feet in the Bagmati. That could speed death considerably. Pashupati, a manifestation of Shiva, has a special place in his heart for Nepal and is always mentioned by the king when making important announcements. 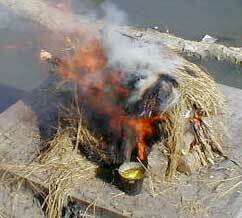 As shown in picture 3, the cremation ghats at Pashupatinath are busy night and day. Note the foot sticking out on the left of the fire. When things are well charred, the feet are broken off by the elder son, who is pretty much in charge of these things, Darby, and thrown back into the flames. Four ghats are for commoners and two for the rich and royal. In the end, they all end up as ashes in the river. Picture 4 is the god Ganesh, a great favorite in Nepal with everyone, including me. In a temper tantrum, Ganesh's dad Shiva thoughtlessly lopped off his son's head. This pissed his mom off royally. She insisted that Shiva bring Ganesh back to life, but the only way he could do this was by giving him the head of the first living thing he saw. As the story goes, an elephant walked by. 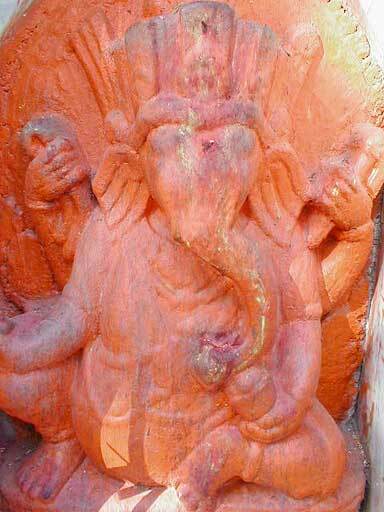 As with most things Hindu, this Ganesh is rubbed red with powder in adoration. Blending the sacred and the secular, many people live among the acres of religious objects at Pashupatinath. Pictures 5 and 6 introduce two of these. 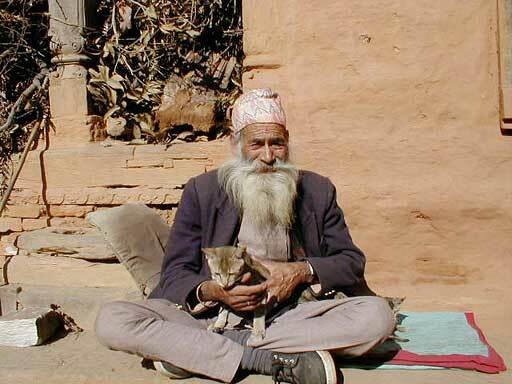 If you look carefully, you can see a second cat peering out from behind the old man's left knee. 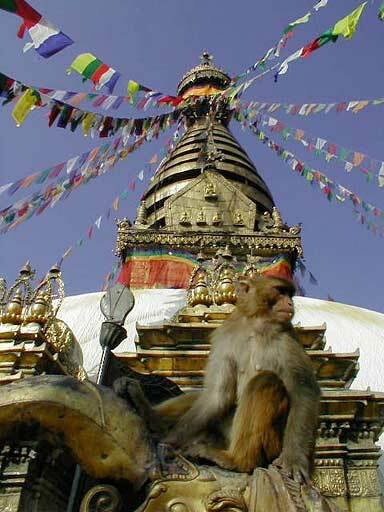 Swayambhunath is known as the monkey temple. The monkey in picture 7 sits atop a huge dorje, the thunderbolt symbol of Buddhist power, at the end of the 380 steps leading to the stupa and temple complex. Monkeys are everywhere. They survive on the endless food offerings made by Buddhists and Hindus at Swayambhunath. A second after a human hand lays down the offering, a monkey hand snatches it up. 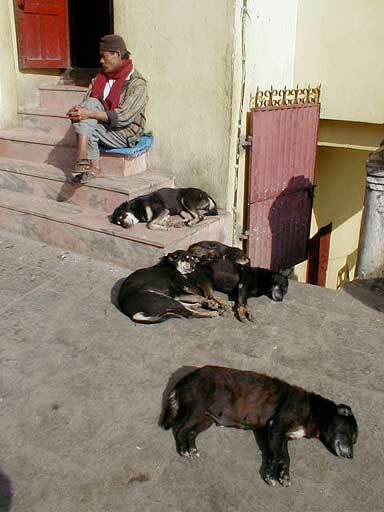 Dogs also find a home at the hill top temple - picture 8. And finally, and most appropriately I guess, it is a place of monks, only an "ey" away from their cousins there. Pictures 9 and 10. 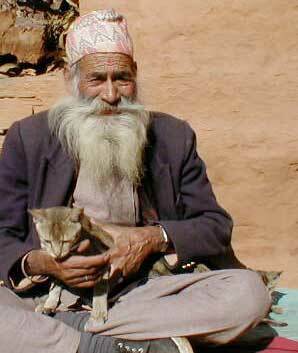 Remember, the pictures can be seen at http://www.jackex.com/kathmandu.html (where you are now) if that is easier than prying open attachments. On my 60th birthday, we enjoyed sharing Whatcom Places with the guide, cook, and porters from the Dudh Kundh hike.